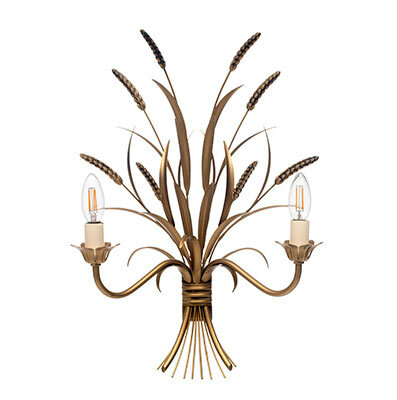 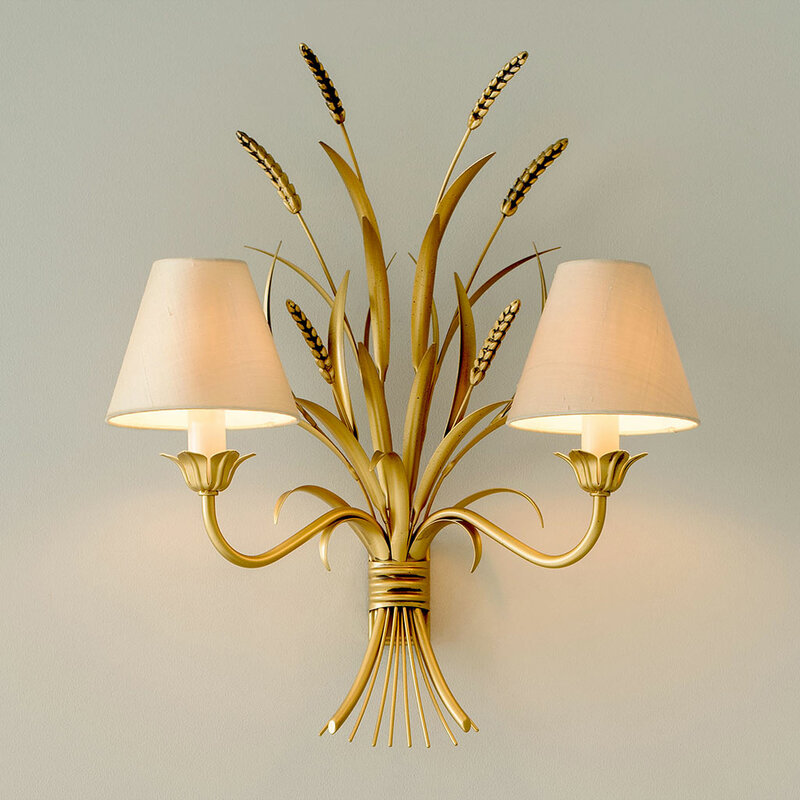 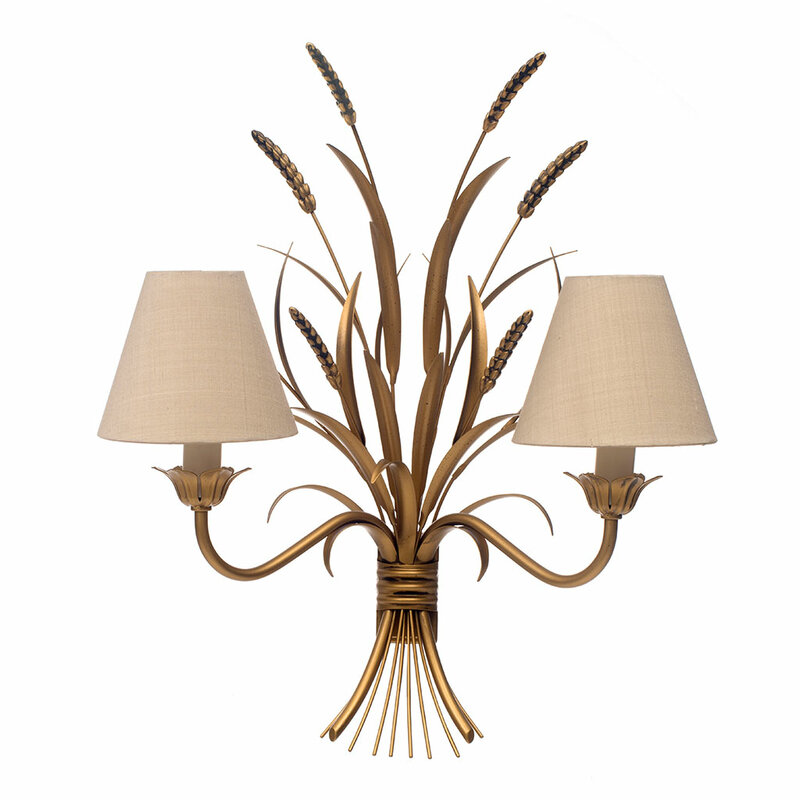 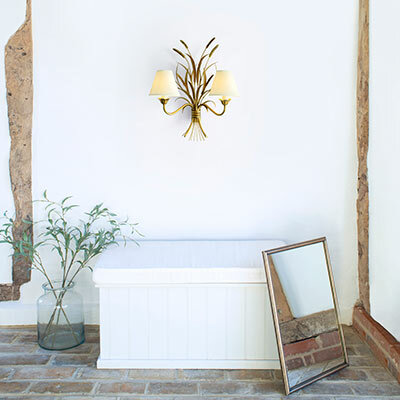 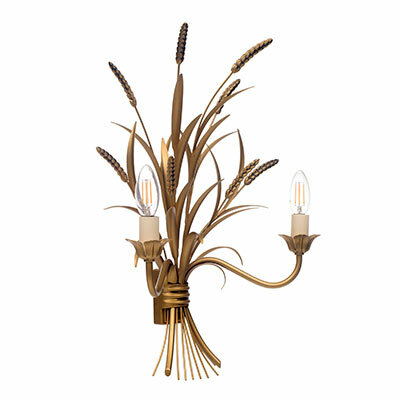 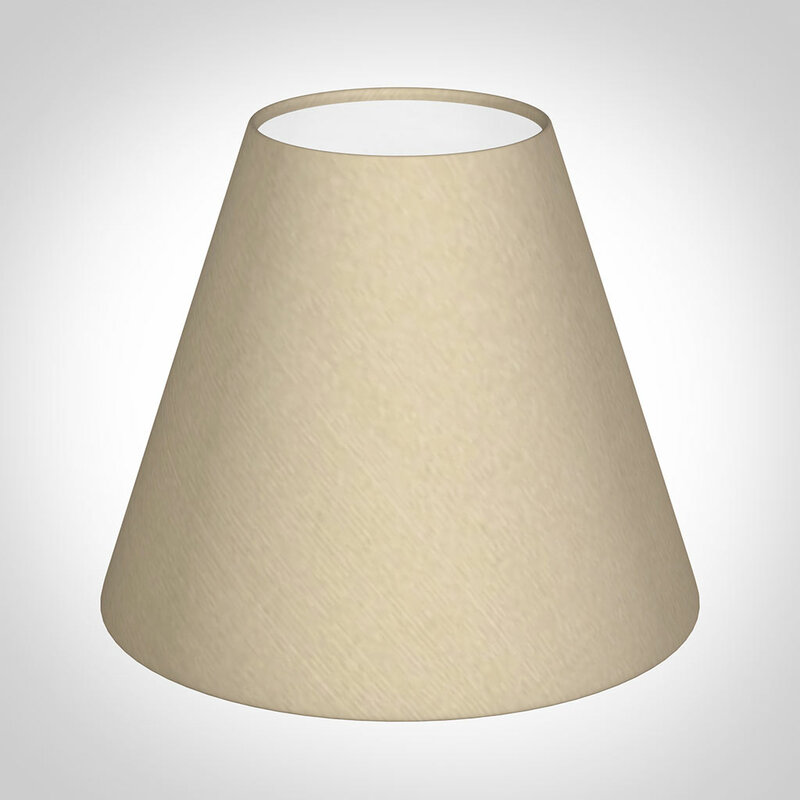 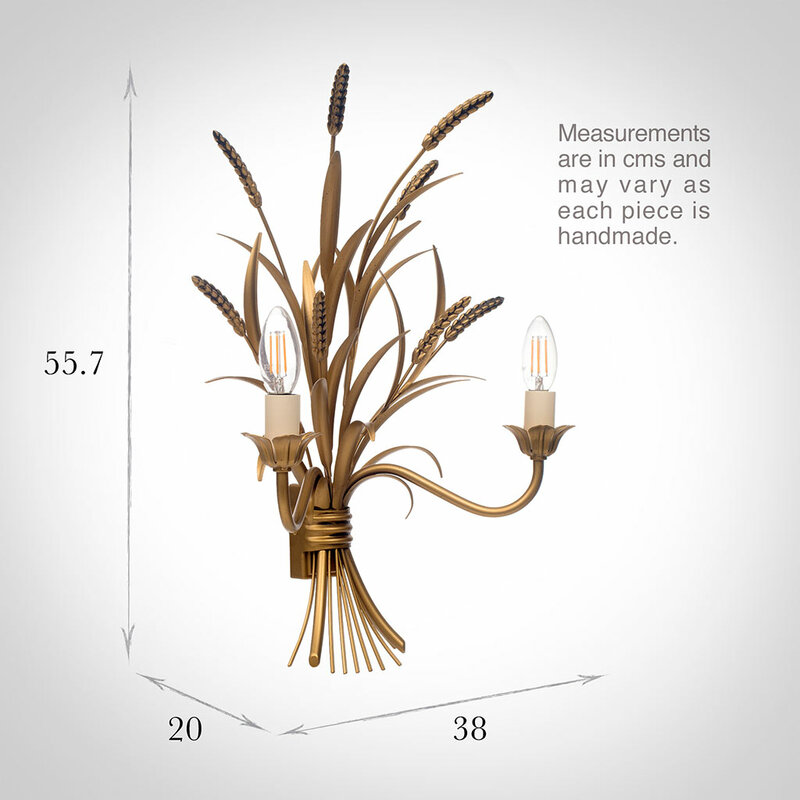 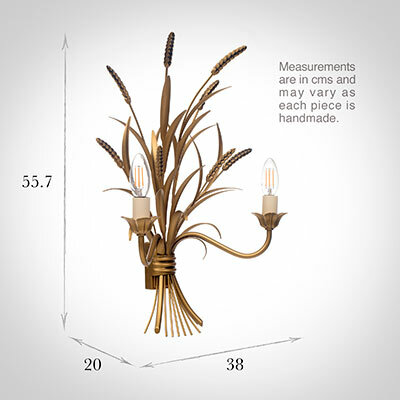 The Sussex Double Wall Light is a beautiful addition to our range, featuring a stunning wheat sheaf design. 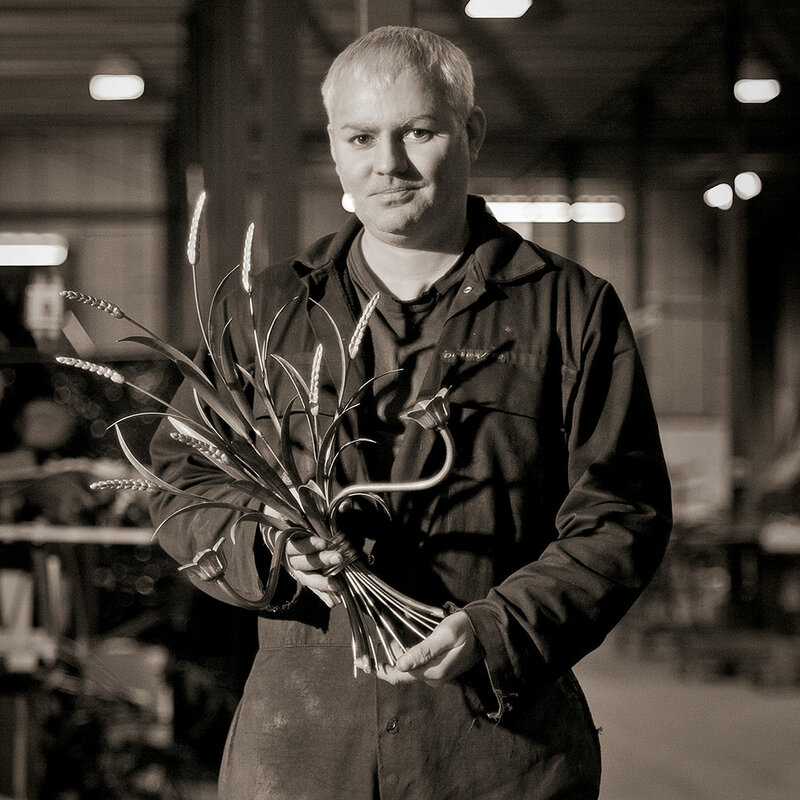 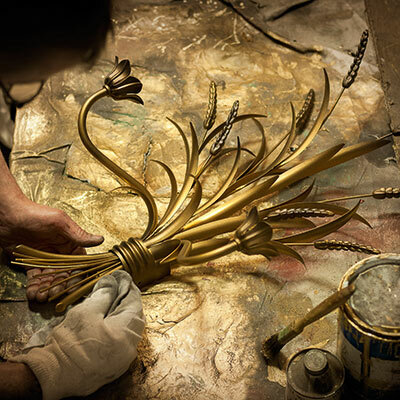 It is hand forged in iron which is then painted in our old gold finish, giving it a beautiful antiqued, vintage look. The light reflects off the surfaces making it perfect for creating a feature in a period room; such as in the hallway, dining or living room.